This incredible AHS ink is so good it will keep you up at night. While we wait for the imminent return of American Horror Story (hopefully with a theme of some description but who knows at the minute), there are other ways we can show our love for Ryan Murphy's scary TV opus. And what's the best way to show your AHS love? Get a tattoo of course! 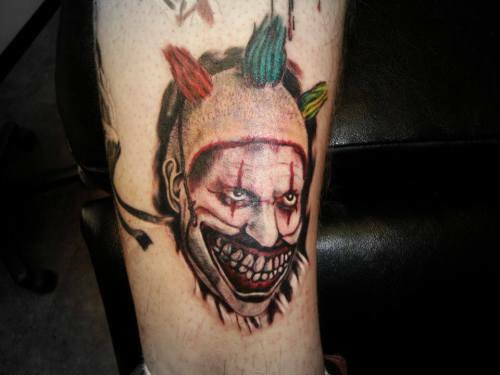 Trouble is some of these tattoos are genuinely petrifying! Let's round up a few of our faves. Why not keep that iconic Coven poster on your body at all times? Tbf, who doesn't want a tattoo of Jessica Lange? I mean...it looks awesome but it is horrifying! The teeth alone are enough to send chills down your spine. Like a giant Jack O'Lantern on your arm. Never forget the intro to Freak Show. Long live the creepy monkey! 9) Yet Another Twisty The Clown. The blue teeth alone are the stuff of nightmares. Ok, so technically this isn't a real tattoo. But it does look awesome. 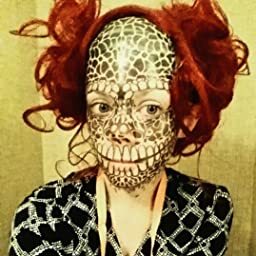 Get the look with tattoo paper from Amazon. 11) One Final Twisty The Clown. Because you didn't need to sleep tonight right? You got any more faves? Let us know below.